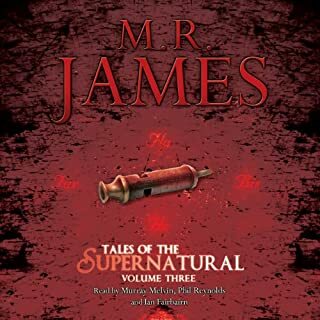 What made the experience of listening to Tales from the Supernatural the most enjoyable? The narrations are excellent; I've said as much. What makes them even more enjoyable is that they're read at the correct speed. If you could take any character from Tales from the Supernatural out to dinner, who would it be and why? the hapless purchaser of "The Mezzotint"